This is a Three storied Modern House in small plot of Area = 2 cents(80.96m2). 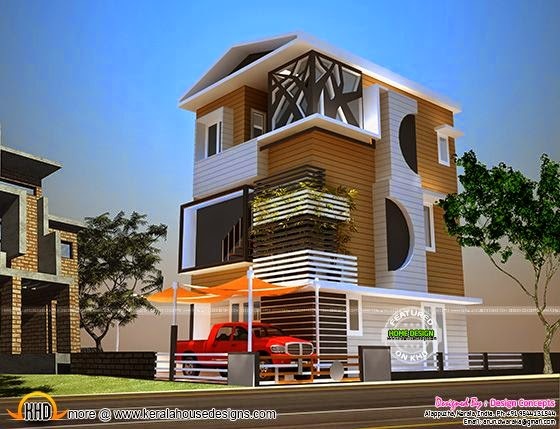 Total area of this 3 bedroom house is 1167 Square Feet (108 Square Meter) (130 Square Yards). Designed by Er.Arun Kumar, Alappuzha, Kerala. Ground floor : 389 sq. ft.
First floor : 389 sq. ft.
Second floor : 389 sq. ft.
Total area : 1167 sq. ft.